Just yesterday your child was getting on the bus for kindergarten, and now they're graduating middle school. Preparing for a middle school graduation can seem daunting. 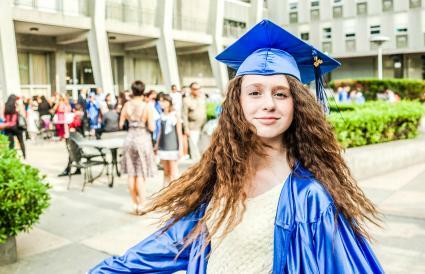 Find out the basics of the ceremony and attire, along with party and gift options to make your middle schooler's graduation fabulous. Many junior high schools have a graduation ceremony for students who have successfully completed the coursework to move on to high school. Since middle school grades vary, the ceremony may be for 8th graders going into 9th grade at a high school, or for 9th graders heading to a high school that starts at 10th grade. Basically, they are graduating from the middle school and joining the high school ranks. Hawaiian theme: Students could receive lays instead of certificates when their names are called. Students could wear Hawaiian shirts and have palm tree table decorations at the reception. Dr. Seuss theme: Use decorations in red and white and have someone read the book "Oh, the Places that You'll Go!" Maybe students also receive this book as a gift. Heritage theme: Students might wear clothing that signifies their heritage, or bring food from a country they like. Decorations could be world maps or globes. Growing Up Together: Memories make the best themes for an 8th grade graduation party. You could have decorations with images through the years of the graduating class along with a video montage of images. Students may also be encouraged to dress for graduation in a uniform manner, such as white shirt and black dress pants or skirts, or educators may suggest dressing in the school colors, fun clothing or specific themed clothing. Schools who choose to have students in academic regalia for the ceremony may choose to purchase gowns in a variety of sizes from a store such as Graduate Affairs, which lets students borrow them, and re-use them each year. Caps may be purchased by a Parent-Teacher Organization or by the individual graduates. Many parents may choose to send graduation announcements upon completion of junior high, or plan an open house or middle school graduation party. Simple announcements can be made on a home computer, or many sites offer free printable graduation announcements and invitations, such as Print Free. You can also purchase middle school grad announcements from party or stationery stores or online. Including a photo is a fun way to include out-of-town friends and relatives in the occasion and show off how the graduate has grown. Parents may choose to host an open house or party when their child graduates from middle school. This is typically a casual affair, such as a barbeque or pool party, or simply appetizers or cake to honor the graduate. Simple backyard games such as volleyball, bocce ball, and Frisbee are a fun way to entertain young teens, tweens, and well-wishers. Other party games and a band or DJ might also be considerations for a large or more elaborate gathering. A laser tag party or roller rink: Kids can skate and play laser tag while celebrating their graduation. Video game party. Get the controllers and headsets ready for an all-nighter. Theme it with Minecraft party ideas. Luau: To follow your Hawaiian graduation, consider a luau in your backyard. A night to remember: Have teens create a time capsule to bury to dig up when they graduate from high school. Then, dance the night away. Friends and relatives may want to give graduation cards or gifts to commemorate and celebrate the graduation from middle school. Cards may be sentimental, filled with age-appropriate humor, or contain motivational or inspirational graduation sayings, or simply a message of congratulations. Larger graduation gifts might include a new desk or items such as cellular phone, iPod, digital camera, tablet, laptop or camcorder. 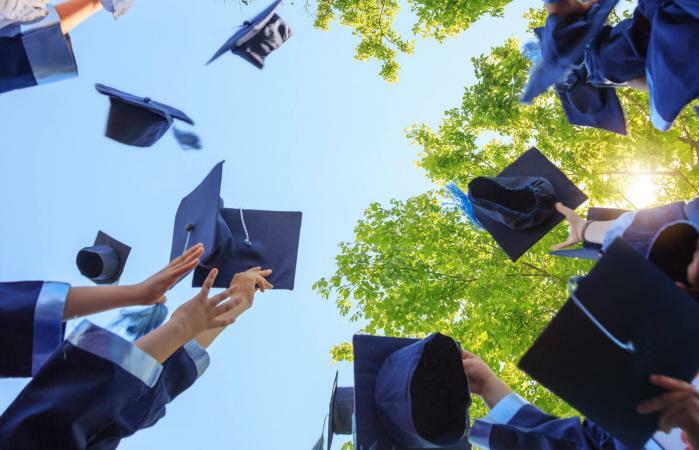 Whether simple or elaborate, there are many ways to commemorate a graduation from middle school and make this time a special and wonderful one. Graduation events are perfect for highlighting a student's accomplishments during middle school and preparing for his or her future success.